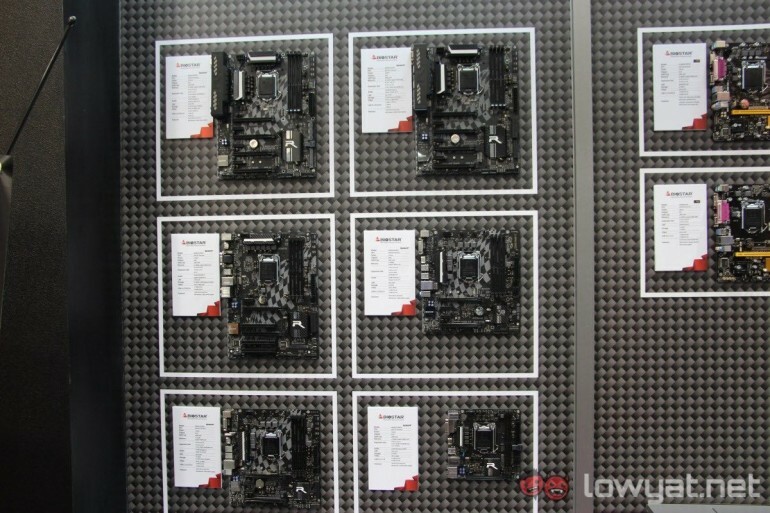 Biostar has showcased its new lineup of Racing motherboards called the Z170GT8 and the B150GT3. Staying true to its name, both the Z170GT8 and B150GT3 motherboards are inspired by, well.. racing; which is quite obvious when looking at the chequered flag visual running across the face of the motherboards. 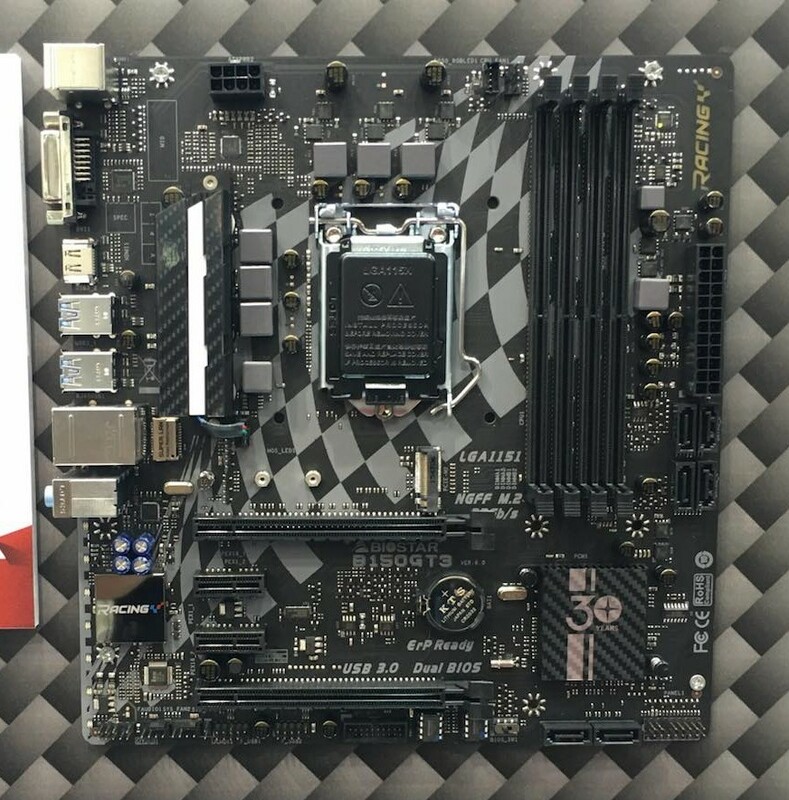 The first Racing series motherboard showcased by Biostar is the full ATX Z170GT8 motherboard. Based on the Z170 chipset, Biostar’s newest addition to its lineup of Racing motherboards has four DDR4 RAM slots that are capable of frequency speeds of up to 3200MHz. In addition, the motherboard also has four PCIe x16 slots; three PCIe x1 slots; as well as one M.2 and U.2 slots each that are capable of speeds up to 32Gbps. 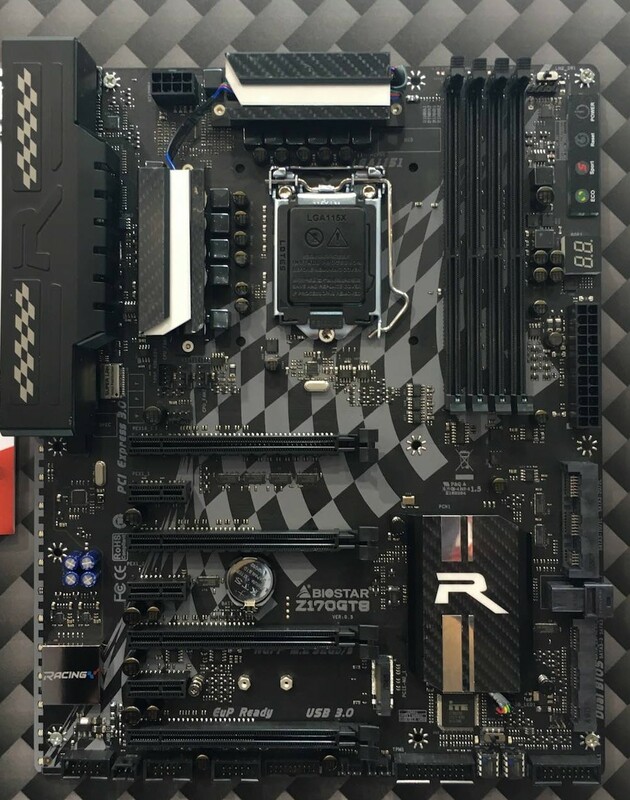 When it comes to connectivity options, the Z170GT8 Racing motherboard comes with seven USB 3.0 ports; four USB 2.0 ports; three SATA Express 16Gbps slots; and one USB 3.1 Type-C port. Video output include two HDMI ports; a DVI-D port, as well as a VGA port. Oh, also not forgetting the fact that this motherboard is equipped with RGB lighting. Next up, is the micro-ATX B150GT3 Racing motherboard. This motherboard is based on Intel’s B150 chipset, which means that it’ll support most processors with an LGA1151 socket. That aside, the motherboard does come with four 2133MHz DDR3 RAM slots along with six SATA III ports. Expansion slots include two PCIe x16 3.0 and PCIe x1 slots; as well as one 32Gbps M.2 slot. In addition, there is also six USB 3.0 and USB 2.0 ports. Of course, the B150GT3 Racing is equipped with RGB lighting – like most mainstream motherboards nowadays. Price and availability was not mentioned by Biostar, but we do expect the company to be announcing them very soon.